Take NREDA with you on the go using our mobile-friendly website. The National Rural Economic Developers Association (NREDA) is an individual-member, professional organization dedicated exclusively to the advancement of rural development, the development of member proficiency, and achievement of social and human service objectives in rural areas. Responding to your input - adding value to your membership! 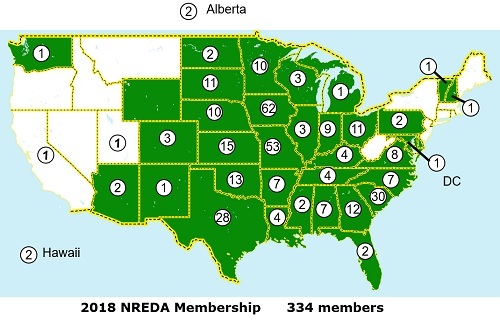 Where are NREDA Members Located? Now More Than Ever - an overview about why rural economic development is so important and why NREDA is such a key vehicle to help. Raising Hope - building communities that young people want to stay in or return to - to keep the talent in rural America.